Beyond Beadery is owned by Betcey Ventrella and her sweetheart of a man, Mark. They are based out of Rollinsville, Colorado. Miz Betcey is the undisputed queen of Swarovski crystal. She carries these sparkly confections in every imaginable color, size and shape. 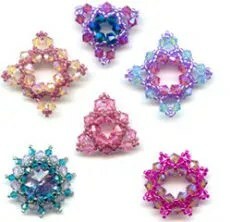 She also carries an impressive selection of Japanese seed beads, as well as those super special heavy metal seed beads. Scrumptious stuff! You should have no problem finding gorgeous supplies here — or perhaps a gift certificate for your favorite beader? 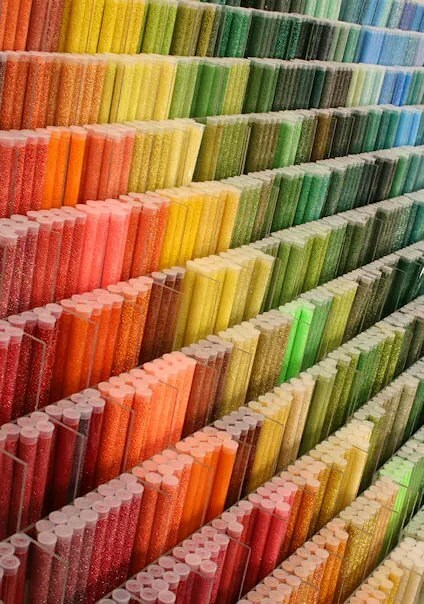 Another excellent source for seed beads is Out on a Whim , which is located in Cotati, CA. 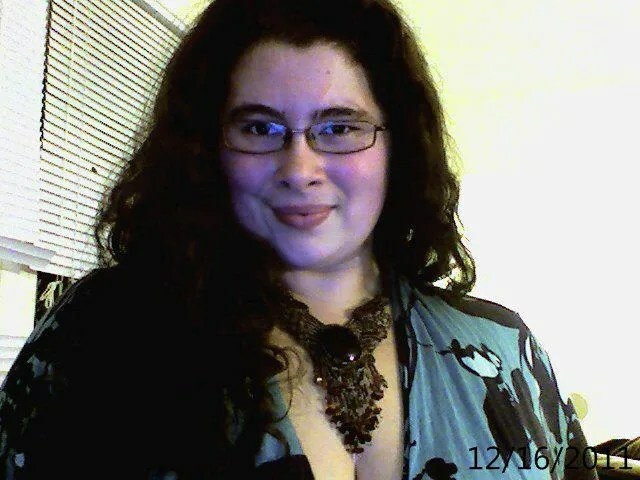 Out on a Whim is owned by Beki and Shawn Haley, who are absolutely beautiful people! Their shop has been family owned and operated since it opened in … sheesh, at least the early 90’s? Beki is a talented bead artist and instructor so she definitely knows her stuff! Her staff is equally knowledgeable, and their prices are highly competitive. Beki recently taught at the popular BABE show, and she is scheduled to teach again at the Bead and Button show in Summer of 2012. She designs original patterns, which she offers as kits (complete with materials and instructions). 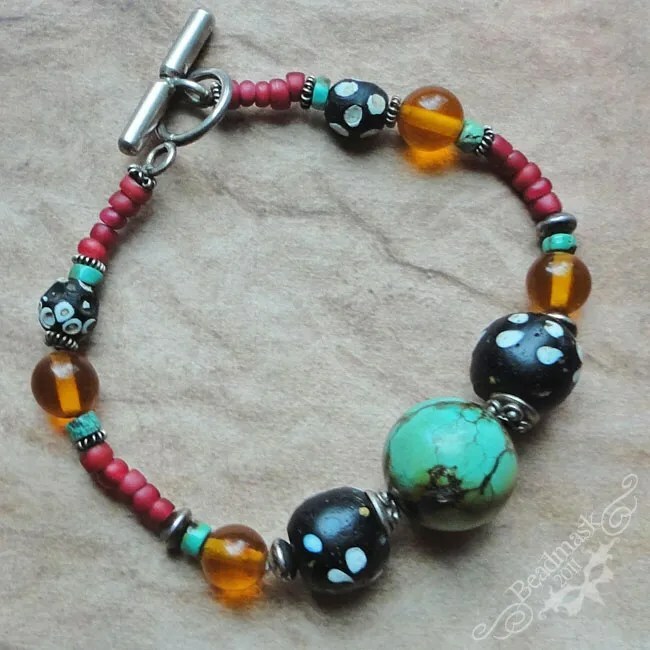 If you’re looking for projects to make as gifts, or even just gifts for the bead addict on your list, you should definitely visit her kits page. Those of you in the midwest might prefer to pay a visit to Stormcloud Trading (AKA “Beadstorm”), which is located in St. Paul, Minnesota. Stormcloud was opened in 1987 by the fabulous Sandi Graves. Her shop focuses on traditional and contemporary beading supplies, as well as leatherworking and metal supplies. 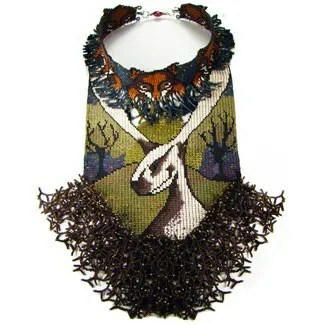 Sandi is an accomplished beadworker, and she also works with enamel and metal. If you’re looking for easy gifts, why not try a book, pattern or bead kit? As I mentioned above, these are great stress-free projects because they simplify the design process — and they make excellent gifts for bead fanatics! If you want to go this route, I have some great recommendations for you. First, I suggest books or patterns by the intensely talented Julia S. Pretl of Baltimore, MD. I’ve gushed extensively on this blog about Julia and her work (seriously, just check my tags to the right) so I will keep this suggestion simple: Julia is amazing. Go check her out! Another bead designer that I love is Charlene Hughes, AKA “Beady Boop” of Arcata, CA. She was one of the first designers to start publishing pattern books, and she remains one of the most prolific and innovative designers of intricate peyote patterns. Charley no longer maintains her own website, but you can still find many of her books and patterns at Rita’s site. 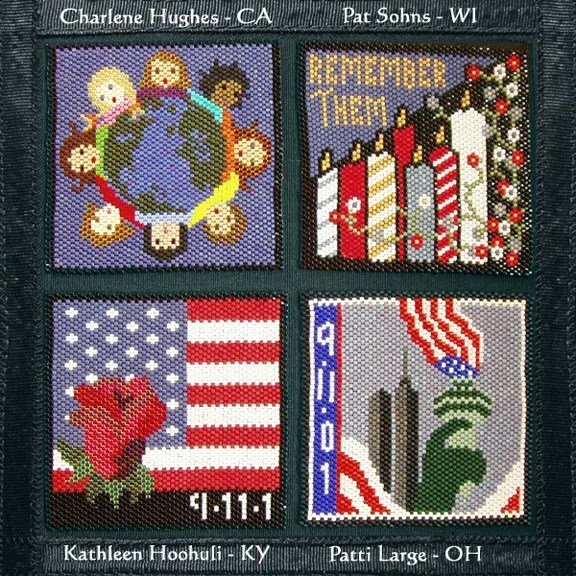 Charley only beaded one of the 9/11 Bead Quilt squares on the panel to the right, but the other 3 squares were created using her designs. As you can see, she has an excellent eye for line and color. 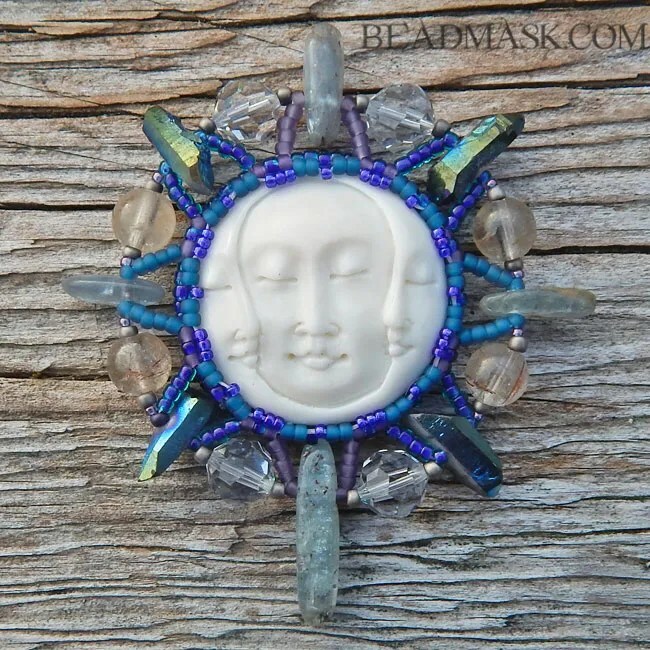 Another great source for bead kits and patterns is Buy the Kit, which is owned by Nikia Angel of Albuquerque NM. 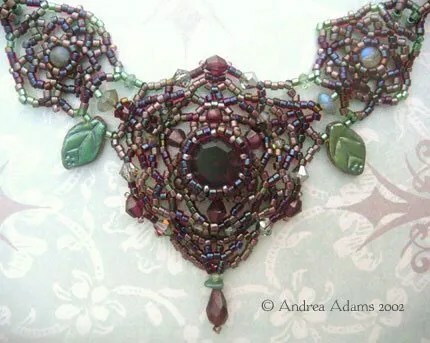 The site features a wealth of Nikia’s beautiful bead designs, along with many other talented designers’ work. At this point, BTK represents over 20 well known bead instructors, many of whom teach at high profile shows such as Bead Fest and Bead and Button. Their designs reflect a wide array of styles and skill levels, so you’re sure to find something that suits your needs. You’ll find complete bead kits with materials and instructions, or you can choose from their “Beadless Kits” (AKA patterns) for necklaces, bracelets, bags, earrings, dolls, hair wear and more. Last but not least, I’d like to give a little plug for my own virtual bead store, Treefrog Beads! 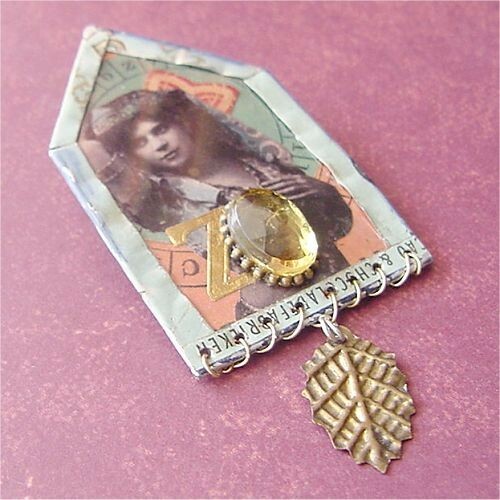 I’m based out of Seattle, WA, and my focus is on vintage and antique beads and cabochons. 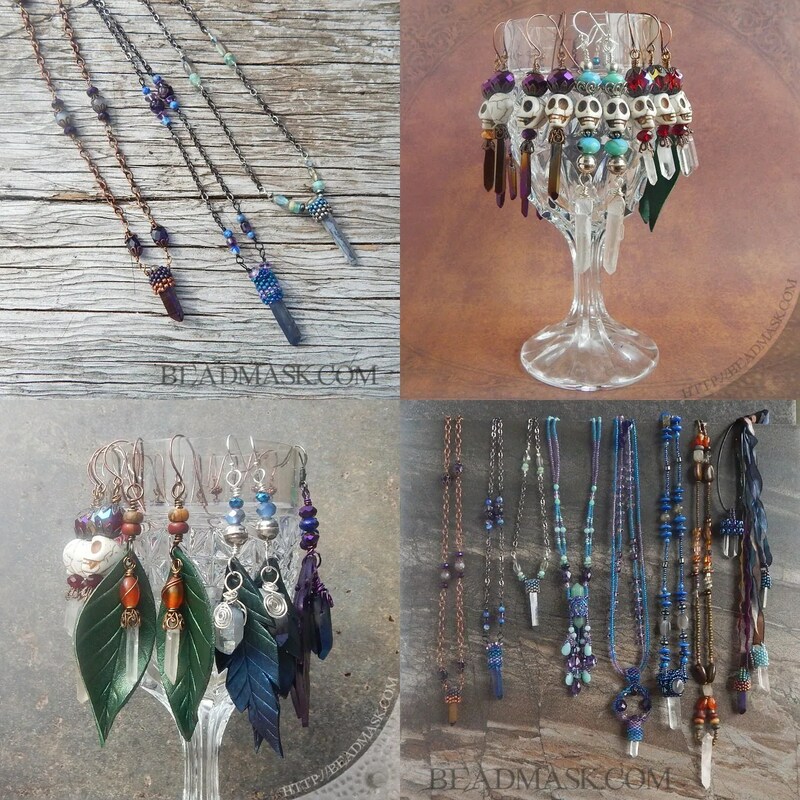 I’ve been collecting old and unusual beads since the 1980’s, and I especially love glass cabochons, Swarovski crystal and antique micro seed beads. You can find my complete selection at my website, which is linked above — or you can peruse my listings over on Etsy. One caveat about ordering from me right now, though — I’ll be on the road from mid November through early December, so if you order during that time, there will be a slight delay in shipping. So there you have it! 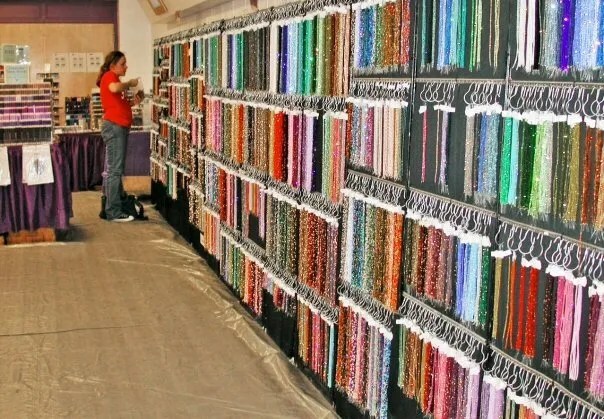 If you love beads — or if you love someone who loves beads — you have a wealth of choices for great supplies and/or gifts! Again, each of the small businesses listed above is owned and operated by a wonderful woman. If your holiday list includes beads or beading supplies, I strongly encourage you to support one of these shops! Sometimes this world can be a pretty dark place, but in spite of all the sadness and the ugliness that barrages us on the evening news, there are people out there doing amazing things. A light in the darkness, if you will… The folks at Beads of Courage are an excellent example of this. They have created an “Arts in Medicine” program that strives to provide comfort and aid to children and families coping with childhood cancer. I fear that my attempt to explain this powerful program would only fall short. Instead, I invite you to watch this news clip featuring the founder and the families who benefit. It’s a compelling project worth getting behind. I encourage you to donate, or consider buying something from their online artists gallery. I realized this morning that I made this announcement on my Facebook fan page, but I did not cross post the information here: My vintage bead and cameo website is live!! As I mentioned in this post, the vintage cameo site has been in the works for quite some time, and it feels so good to finally have it open to the public (thank you again, Julia!). I still have many more products to add (tons of vintage and antique seed beads, as well as more cabs, Swarovski and old nailheads & sew-on’s) but for the sake of my sanity, those products will be added slowly over time. Even with so much to add, there’s a lot of great stuff there, so go have a look around – you’re sure to find something to tempt your inner magpie! And while you’re there, please check out the customer gallery. I am blessed with some amazingly talented friends and customers, and I’m sure you’ll enjoy their incredible artwork. Next up? My original site, Beadmask is getting a complete overhaul. 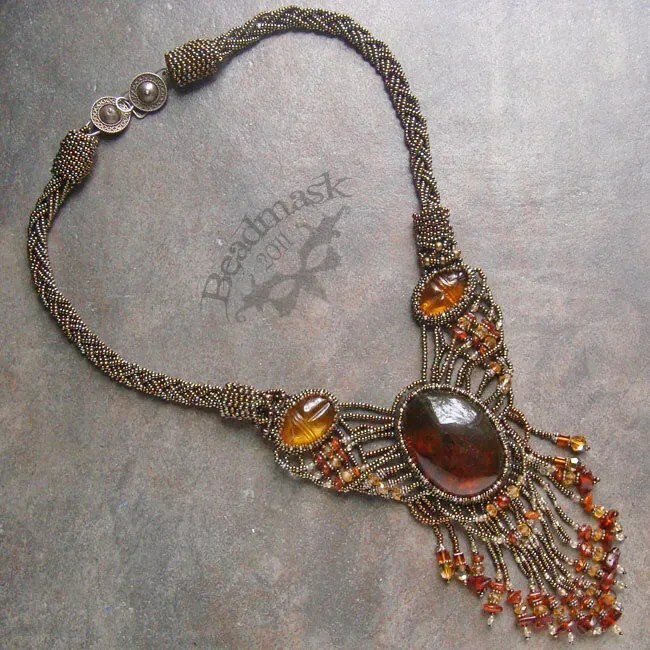 Now that the vintage jewelry supplies have their own site, I can turn the Beadmask site into a portfolio of the things that I make. At the moment, it just has a few items and it funnels you to my Etsy shop, but that’s just a stopgap while I work on the new and improved version. Hopefully, I can complete that before the New Year — wish me (good) luck! 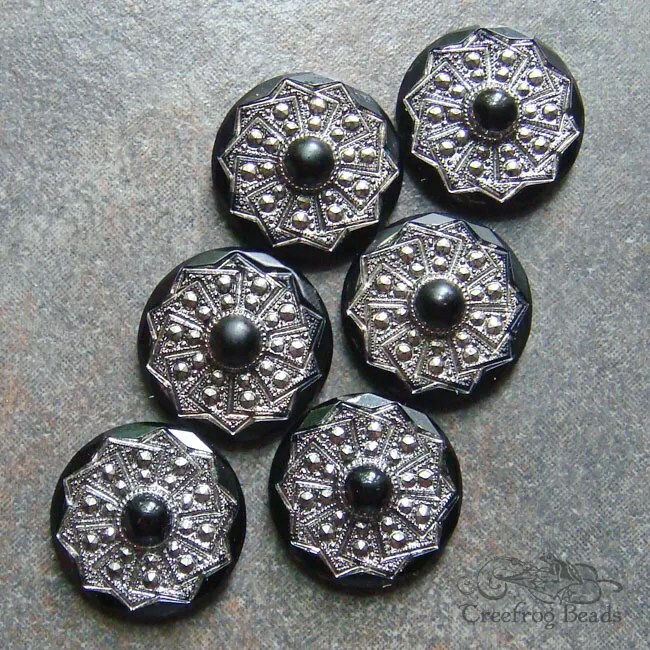 The past three weeks have found me alternately re-counting every bead, cabochon and rhinestone that I carry — or holed up at the keyboard, with my eyes glazed over and a litany of expletives frothing from my lips. During this time I have avoided friends and family, not only because I can’t afford to get distracted, but because I’m just not fit for human consumption when I do this type of work. I expected today to be more of the same, but guess what? I had a paradigm shift! 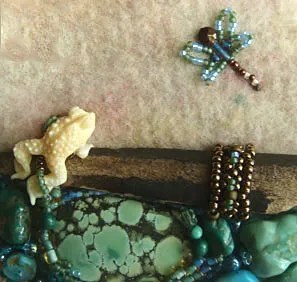 As I worked on the site I was reminded (yet again) of how grateful I am to my talented, beautiful and inspiring friend Julia Pretl, who designed my adorable new bead site. Yes, I am gushing and no, it is not over the top. As painful as this process has been, my agony would have been tenfold if it weren’t for her help. So a million thank you’s, Miz Julia. I appreciate you more than I can say. Also, I was able to complete the preliminary work of loading and coding all of the product, and move on to something surprisingly fun: building the customer gallery! The images scattered throughout this post reflect the work of a few of my fabulous clients and beady friends (simply click on the captions to visit their sites). As I looked through these images, I was reminded of the creative and inspiring people that I’m able to connect with in the course of my work. It may sound silly, but beads have brought many beautiful friendships into my life. Somewhere in the midst of my CSS induced psychopathy, I realized how very grateful I am to do what I love for a living … yes, even if it means that sometimes, I have to write code. There’s a light at the end of this tunnel. The site is (knock on wood!) almost ready, and I’m feeling particularly grateful for my amazing friends, talented customers, and good fortune. In our household, we try to think green. We recycle as much as possible, minimize our use of plastic bags, and we choose eco-friendly products when they’re available. What does this have to do with beads? 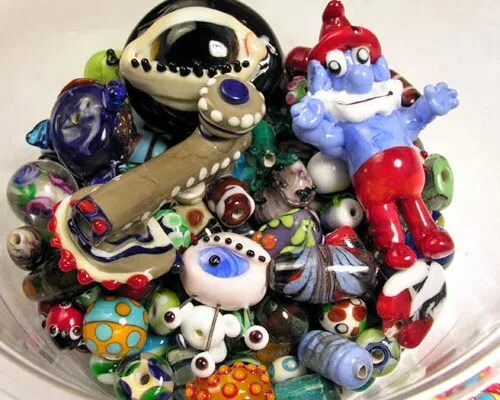 Well, I’d like to be able to apply these same values to my craft — but as most beadworkers know, beads and plastic are pretty darn connected. enthusuasts end up collecting so many types of beads that see through packaging is a must. In addition, plastic has become an industry norm — would I lose customers if I moved to a different type of packaging? 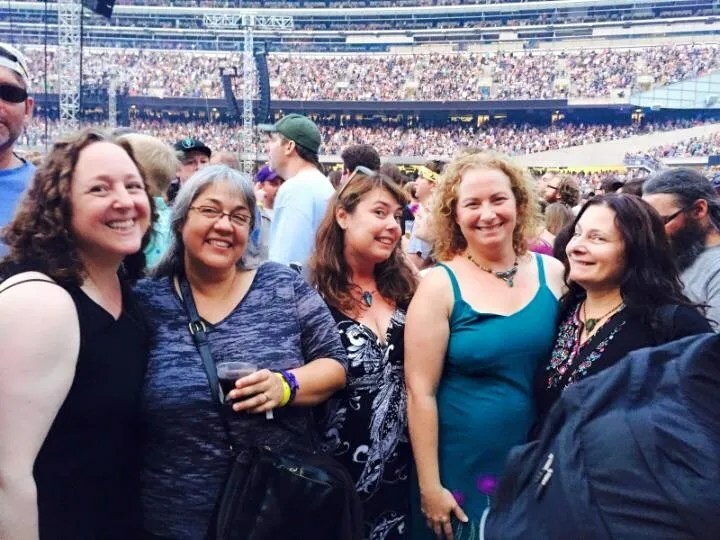 I could go on and on, but I won’t because Beki Haley from Out on a Whim has already written an eloquent and thoughtful post on the subject on her blog. I encourage you to head on over and check it out. I suspect that she and I are not the only ones who’ve considered this. 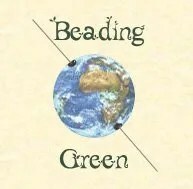 It would be great to see some discussion on this topic, and to hear other people’s tricks and ideas for “green” beading practices!